How 'bout this for a power lunch? 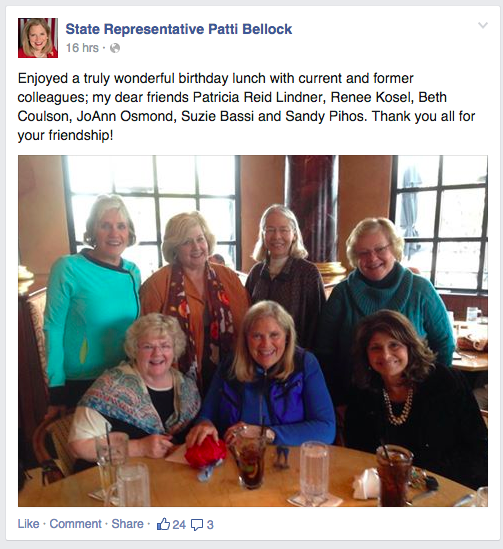 State Representative Patti Bellock convenes a birthday get-together with Representative Renee Kosel, Representative Sandy Pihos and former Reps Patty Lindner, Beth Coulson, JoAnn Osmond and Suzie Bassi. Here's hoping the solved all the State's problems. God knows they probably could have.